Start with this designer-quality bathroom trash can. 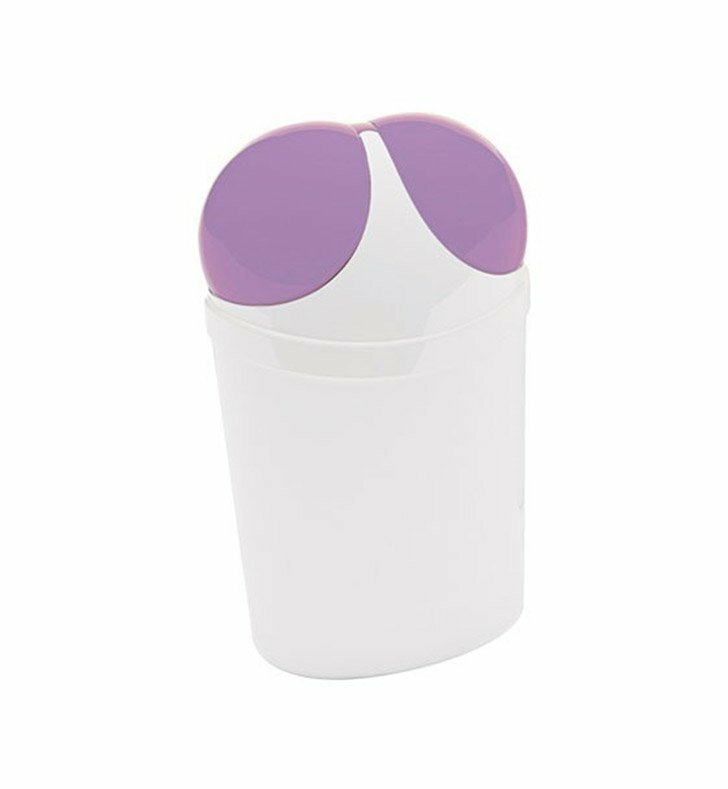 Free stand and available in white/lilac, this thermoplastic resin waste basket will fit perfectly into a contemporary & modern personal bathroom. Designed and made by Gedy in Italy. From the Gedy Cestini collection.